Cardinals-Astros hacking investigation: FBI reportedly involved in baseball cybercrime situation. 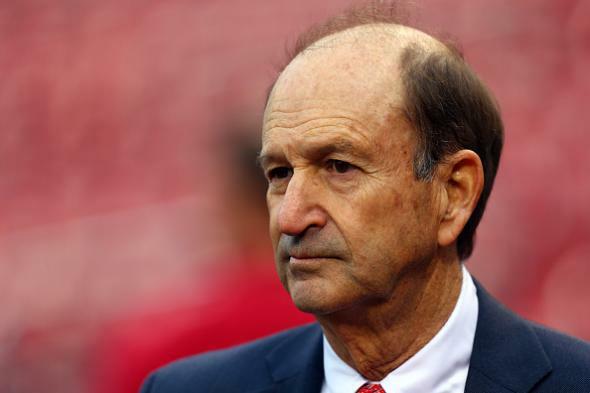 St. Louis Cardinals owner Bill DeWitt. Bizarre: The New York Times is reporting, and Major League Baseball has confirmed, that the FBI is investigating the league’s St. Louis Cardinals for hacking into data and records belonging to the Houston Astros. The situation involves Astros general manager Jeff Luhnow, who worked for the Cardinals until 2011. Investigators believe Cardinals officials, concerned that Mr. Luhnow had taken their idea and proprietary baseball information to the Astros, examined a master list of passwords used by Mr. Luhnow and the other officials who had joined the Astros when they worked for the Cardinals. The Cardinals officials are believed to have used those passwords to gain access to the Astros’ network, law enforcement officials said. The Astros and Cardinals both played in the National League Central division until the 2013 season, when the Astros moved to the American League West. Both teams are currently in first place, and the Cardinals have the league’s best record.